Switch to Kleenheat for 20% off your first cylinder order* PLUS no rental fee for 12 months! Kleenheat is your local leader in LPG proudly supplying thousands of households across Western Australia and Northern Territory with safe and reliable LPG for cooking, heating and hot water. We believe in keeping things local and that’s why our team in Bunbury are on the ground to help you with all your gas needs. To redeem this offer call 13 21 80 or submit an enquiry below. *This Offer is available only to new residential Kleenheat customers that purchase through the Albany branch. 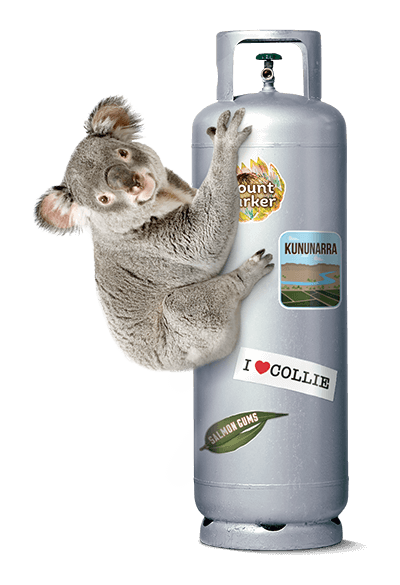 **10% discount applies when you order and pay for your LPG cylinders online via kleenheat.com.au/lpg/order-online. This offer is only available to Kleenheat customers who purchase their cylinders direct from Kleenheat. Sales through Kleenheat dealers are excluded. Visit kleenheat.com.au/order for full terms and conditions. Complete the below form and a member of our team will be in touch shortly to discuss pricing and offers available in your area. Please don't include sensitive information such as credit card or banking details in this form. This Offer is available only to new residential Kleenheat customers that purchase through selected branches in Western Australia for the supply of household LPG at a single residential address. New customers will receive 20% off the normal retail price of a 45kg LPG cylinder for the first order up to a maximum of two 45kg cylinders. To be eligible for this Offer, you must currently be supplied by an LPG supplier other than Kleenheat, and have one or more 45kg LPG vapour cylinders installed at your premises. Acceptance of this Offer can only be made by you establishing a new LPG account with Kleenheat. By accepting the Offer, you agree to these terms and conditions. Your agreement with Kleenheat (“Agreement”) will consist of the terms and conditions of this Offer and Kleenheat’s standard Terms & Conditions for Residential Cylinder Users (a copy of which is available at https://www.kleenheat.com.au/wp-content/uploads/2015/10/GAS3857-Residential-User-Brochure-A4-HR.pdf). In the case of any inconsistency, this Offer will prevail. This Offer cannot be used in conjunction with any other promotion or discount offer from Kleenheat. This Offer is valid until 31 December 2019. This offer is made by Wesfarmers Kleenheat Gas Pty Ltd ABN 40 008 679 543. This Offer includes the deferral of the usual rental (facility fee) that applies to 45kg LPG vapour cylinders for the first 12 months. The standard Kleenheat facility fee will apply after the end of the initial 12 month period. An installation/connection fee may apply to customers with dwellings not already on LPG.